A detective show that was canceled back in 2007 — after making a star of Kristen Bell — is coming back. 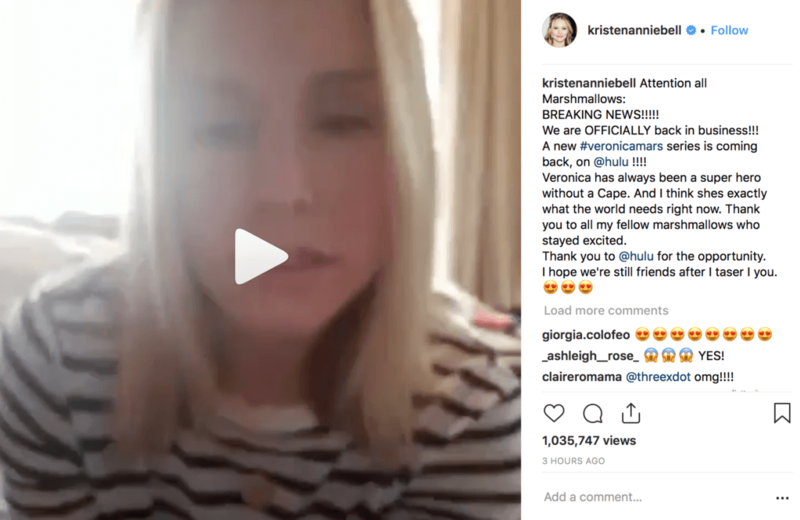 Bell took to Instagram to announce not only that original episodes of “Veronica Mars” are headed to Hulu, but also that a revival of the show is in the works. The original series bowed in 2004 and ran two seasons on UPN before running its third and final season on the CW. The teen-focused show chalked up a loyal fanbase. Hulu has reportedly ordered eight new one-hour episodes. The show was revived before, as a feature film in 2014 that grew out of a successful Kickstarter campaign by Bell and series creator Rob Thomas. Here’s Bell’s Instagram announcement, which also has a video.